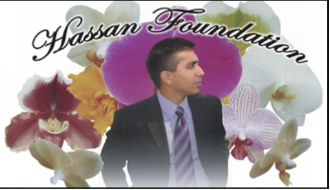 Hassan Foundation is a tax-exempt charitable organization at both the state and federal levels. What is Hassan Foundation’s objective? Hassan Foundation’s main objective is to provide safe water close to home, where easy accessibility or safety of water is an issue. Additionally, Hassan Foundation supports education, orphans and extends a helping hand in disaster relief. Has Hassan Foundation been involved in other humanitarian projects? Yes, Hassan Foundations mission is to also support internally displaced people due to floods, or fights. In addition, Hassan Foundation has organized blood drives and built homes for flood victims. What is the source of funding for Hassan Foundation projects? In addition to receiving donations and zakat money, Hassan Foundation collects funds through our annual fundraising event, Also, Hassan’s family and friends contribute on a regular basis. Donations are accepted many ways. You can donate using Paypal. Checks can be sent directly to our Michigan office. Hassan Foundation 25779 Kelly Rd, Suite C. Roseville, MI 48066. Are there other ways to donate? Can I donate in Pakistan? Donations can also be deposited in Hassan Foundation’s Pakistan account. Donations can also be made at our annual fundraising gala, usually in April in Michigan. Visit here for more information. Hassan Foundation Pakistan Rupees Account. Does Hassan Foundation have overhead cost? Hassan Foundation is a unique charity run by volunteers, with ‘No administrative cost to donors’. Will my donation be zakat eligible? All of Hassan Foundation’s projects are exclusively for zakat-eligible people. Occasionally at certain water project sites, a small percentage of families benefiting from the water source may not be zakat eligible. In that situation, Hassan Foundation asks for an equivalent percentage contribution from the community. Is it safe for me to donate to Hassan Foundation using Paypal? Yes, as reliable as any other reputable credit card can be. Paypal is one of the safest ways to donate. Am I able to decide where I want to use my donation? Absolutely, you may specify where you’d like these funds allocated: water, education or orphans. Does Hassan Foundation have an annual report? Yes, it may be downloaded from the IRS website. How am I able to get involved with Hassan Foundation? Spread the word, connect with your friends and families and open up chapters in your hometown. We will gladly come out to your hometown and explain to your family and friends, at our personal expense. Install hand pump in honor of your parents, family and friends. It is Sadaqa-e-Jaria. Honor your teachers, loved ones by installing a hand pump with their name on it. We will send you the pictures, to share with all your family and friends. How can I keep up to date on Hassan Foundation projects? You can visit our Facebook page and our website to keep up to date. What is the time from donation to to installation of hand pump? Turn around time with final product pictures can be anywhere from 12-16 weeks. How much does it cost to install a water project, hand pump, power well or solar well? Multiple factors determine the cost, in general a hand pump in Thar costs $500. Powerwells average cost runs about $2500-3500 and a solar power well about $8000. How much does it cost to support an orphan? $40 per month per orphan. Does Hassan Foundation have an office in Pakistan? Unfortunately to avoid any non-project costs, there is no office in Pakistan. Who pays for the day to day expenses? Hassan’s family and friends. Hassan Foundation is a charity run by wonderful volunteers, at the expense of their personal time, money and effort. It is not a business, the only beneficiaries are the poor people you are supporting. Your funds will never be used for anything but the intended project. We the family, friends and all volunteers are paying financially, and with very precious time and effort. Please understand, there is no direct benefit to any of the volunteers. Had it not been the for volunteers, Hassan Foundation would have been spending 40-50% on just over head cost. Is there a salary for the management team?